Baskonia achieved an overwhelming victory against Cajasol which strengthens their playoff position. Also, thanks to the +36 point difference, Baskonia regained the basket average. The team built the win through very good team work. Effective in offense and focused on defense, the players clearly exceeded their opponents from the second quarter on. In this great team performance Fernando San Emeterio has been outstanding. The captain finished the game with 21 points and a game rating of 26. Thomas Heurtel got 18 points, 4 assists and 4 rebounds. Andres Nocioni celebrated his 200th ACB League game with 16 points and 8 rebounds. Tibor Pleiss also completed a great game with 12 points, 13 rebounds and a game rating of 27. The team started strong with an 11-4 favorable run in the first minutes of the game. Cajasol managed to close the gap and tied the game 22- 22 in the final stretch of the first quarter. Baskonia stepped up and improved their game in the second quarter. Guided by a successful San Emeterio and Nocioni, the team took the lead with advantages up to 12 points. Cajasol tried to reduce distances, the closer they got was seven points down, but a spectacular San Emeterio helped maintaining and extending the lead to 12 points (44-32 at halftime). In the third period the advantage continued increasing. Laboral Kutxa kept their confidence and focus and bench players like Adam Hanga and Leo Mainoldi joined the scoring. Causeur, which had to leave the court before halftime due to a sprain, was able rejoin the game without problems. 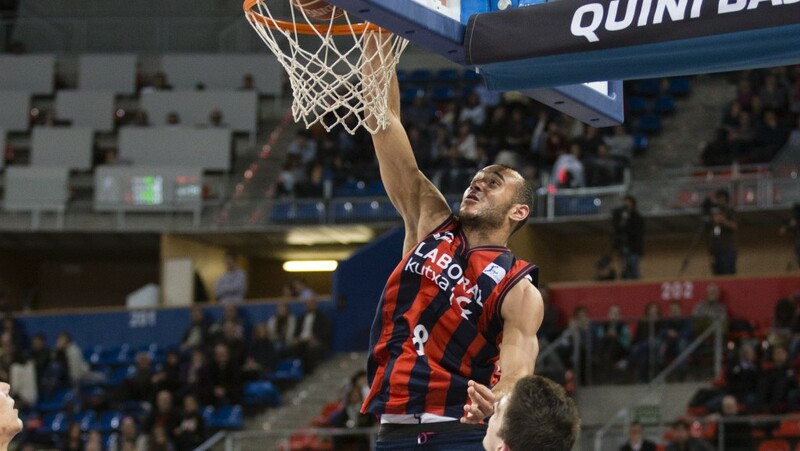 Baskonia rounded the victory in the fourth quarter. The team had minutes of great basketball with several highlights. In the last stretch of the game, Laboral Kutxa extended the lead to 36 points, which secured the basket average with Cajasol.